Author Information: Zhou Y1, Mao L2, Yu J2, Lin Q2, Luo Y2, Zhu X3, Sun Z4. Clostridium difficile infection (CDI) is an emerging healthcare problem in the world. The purpose of this study was to perform a systematic epidemiological research of CDI in Tongji hospital, the central of China. Stool samples from hospitalized adults suspected of CDI were enrolled. The diagnosis of CDI were based on the combination of clinical symptoms and laboratory results. Clinical features of CDI and non-CDI patients were compared by appropriate statistical tests to determine the risk factors of CDI. Multilocus sequence typing (MLST) was employed for molecular epidemiological analysis. Susceptibility testing and relevant antimicrobial agent resistance genes were performed as well. From June 2016 to September 2017, 839 hospitalized adults were enrolled. Among them, 107 (12.8%, 107/839) patients were C. difficile culture positive, and 73 (8.7%, 73/839) were infected with toxigenic C. difficile (TCD), with tcdA + tcdB+ strains accounting for 90.4% (66/73) and tcdA-tcdB+ for 9.6% (7/73). Meanwhile, two TCD strains were binary toxin positive and one of them was finally identified as CD027. Severe symptoms were observed in these two cases. Multivariate analysis indicated antibiotic exposure (p = 0.001, OR = 5.035) and kidney disease (p = 0.015, OR = 8.329) significantly increased the risk of CDI. Phylogenetic tree analysis demonstrated 21 different STs, including one new ST (ST467); and the most dominant type was ST54 (35.6%, 26/73). Multidrug-resistant (MDR) TCD were 53.4% (39/73); resistance to ciprofloxacin, erythromycin, and clindamycin were > 50%. Other antibiotics showed relative efficiency and all strains were susceptible to metronidazole and vancomycin. All moxifloxacin-resistant isolates carried a mutation in GyrA (Thr82 → Ile), with one both having mutation in GyrB (Ser366 → Ala). Knowledge of epidemiological information for CDI is limited in China. Our finding indicated tcdA + tcdB+ C. difficile strains were the dominant for CDI in our hospital. Significant risk factors for CDI in our setting appeared to be antibiotic exposure and kidney disease. Metronidazole and vancomycin were still effective for CDI. Although no outbreak was observed, the first isolation of CD027 in center China implied the potential spread of this hypervirulent clone. Further studies are needed to enhance our understanding of the epidemiology of CDI in China. This entry was posted in C. diff. infection, C. diff. Research & Development and tagged c diff, cdiff, Cdifficile, Clostridioides difficile Infection, Clostridium difficile, Epidemiological Information For CDI, Ribotype 027 in China, Tongji Hospital, Vancomycin Treating C. diff. on March 15, 2019 by cdifffoundation. Clostridium difficile can be characterized according to its ribotyping which is performed using the polymerase chain reaction. Several different ribotypes have been associated with CDI. The ribotypes 001, 002, 014, 046, 078, 126, and 140 have been found to be prevalent in the Middle East [10-12]. In Asia, ribotypes 001, 002, 014, 017, and 018 are more prevalent [13-15]. The predominant strains in Europe and North America include ribotypes 001, 014, 020, 027, and 078 . The ribotype 027 (also referred to as NAP1/B1/027) has emerged in the last decade. Studies have underlined antimicrobial resistance as one of the causes of its epidemic outbreaks. Capillary electrophoresis (CE) ribotyping is used as the standard for characterization of C. diff isolates. This method relies on the intergeneric region variability between 16S and 23S ribosomal deoxyribonucleic acid (DNA) . Ribotype 027 was found to have reduced susceptibility to metronidazole, rifampicin, moxifloxacin, clindamycin, imipenem, and chloramphenicol [17-18]. It is clinically and financially concerning as it leads to severe disease presentation, as well as antimicrobial resistance with high morbidity and mortality rates as compared to other strains . Strains, such as ribotype 027 (especially its spores), spread more easily within the hospital because they can resist the hospital environment, cleaning, and disinfectants . An observational study conducted on patients admitted with diarrhea in a Veteran Affairs Medical Center showed that around 22% of the patients were positive for the NAP1/B1/027 strain out of all the people who tested positive for CDI. Further, a reduction in the rate of diarrhea caused by the NAP1/B1/027 strain was observed with a prevalence of 16.9% in 2016, down from 26.2% in 2013. An increase in the level of awareness and education was thought to be the reason for this decline . The prevalence of this strain in North America is reportedly around 22% – 36%. Ribotype 027 was identified as the most prevalent strain causing CDI with recent outbreaks in North America [20-22]. The prevalence of this strain was shown to be 48% in hospitals in Poland with an outbreak of CDI during September 2011 to August 2013 . Previous studies have shown contradicting evidence regarding the severity of disease caused by this particular strain. A recent retrospective analysis by Bauer et al. concluded that NAP1/B1/027 was associated with a decreased odds of severe disease (odds ratio (OR): 0.35, 95% confidence interval (CI) 0.13 – 0.93) and did not increase in-hospital mortality (OR: 1.02, 95% CI 0.53 – 1.96) or recurrence rate (OR: 1.16, 95% CI 0.36 – 3.77) . Several other studies conducted (including cross-sectional, case-control, and cohort studies) did not show any worse outcomes compared to other strains [29-31]. Sirad et al. demonstrated that although NAP1/B1/027 strain may produce more toxins compared to other strains, they produced fewer spores and were not always associated with severe disease . On the contrary, Rao et al. conducted a cohort study and concluded that ribotype 027 was associated with severe CDI (OR: 1.73, 95% CI 1.03 – 2.89; p = 0.037) and increased mortality (OR: 2.02, 95% CI 1.19 – 3.43; p = 0.009) compared to other ribotypes . Another study showed similar results with the North American pulsed-field gel electrophoresis type 1 (NAP1) strain. Multivariate regression analysis exhibited an increase in the severity of CDI with the NAP1 strain (OR: 1.66, 95% CI: 1.90 – 2.54) and increased mortality (OR: 2.12, 95% CI: 1.22 – 3.68) . One study from Quebec labeled this strain to be responsible for severe diseases twice as frequently as compared to other strains . Aziz M, Chandrasekar VT, Desai M, Fatima R, Jackson M, Sharma P: Sa1858 – surotomycin (a novel antibiotic) vs vancomycin for Clostridium difficile infection: a systematic review and meta analysis. Gastroenterology. 2018, 154:S421. This entry was posted in C. diff. infection, C. diff. Research & Development and tagged c diff, C. diff. infection, C. difficile research, C.diff. Toxigenicity and Pathogenesis, C.difficile Strain, cdiff, Clostridium difficile, Fatima R Aziz, Hypervirulent Strain of Clostridium Difficile: NAP1/B1/027, NAP1/B1/027 strain, Ribotypes and prevalence of Clostridium difficile, What are strains of Clostridium difficile?, What is C.diff. ?, What is Clostridium difficile? on February 11, 2019 by cdifffoundation. 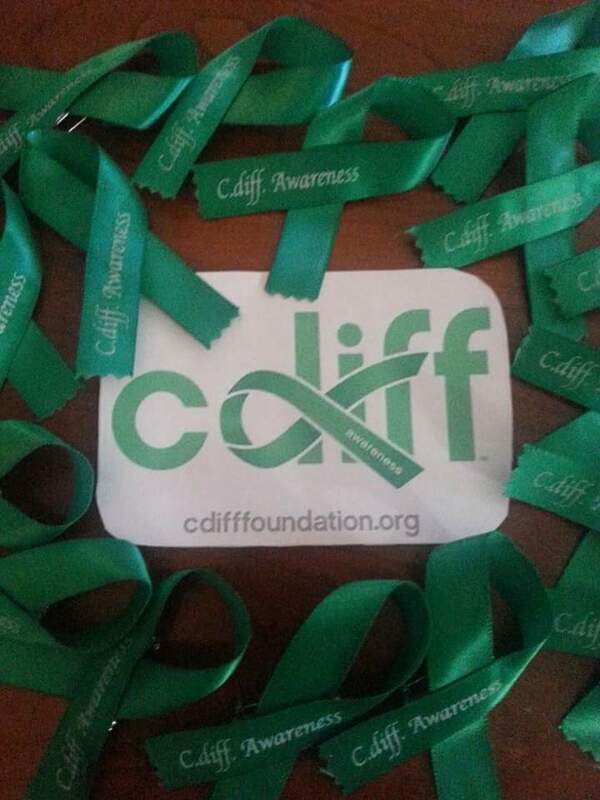 This entry was posted in Health & Wellness by Michele and tagged C diff foundation, C. difficile hydration, cdiff, gut health, Hydrating Drinks, hydration, Michele Martello Wellness Advocate, Nutrition, Watermelon on July 27, 2016 by cdifffoundation.